If you thought that Jeffree Star would still be reeling over the break in, you’re wrong.  Although the guru has been working closely with feds to get to the bottom of everything, he’s moving forward. 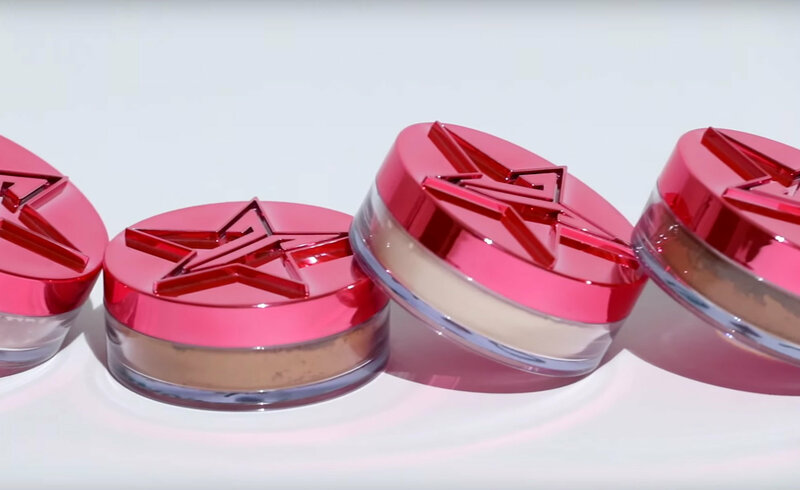 Just 2 days ago, Star dropped the official reveal for his Magic Star concealers and setting powders. Sharing the screen with IG influencer, Gabriel Zamora, Star talked about his upcoming releases and the fact that the stolen shade has been put into production again. Taking in the reality that Star’s products rarely fail to impress, his step into complexion is going to be interesting, to say the least. Coverage for days – acne who? 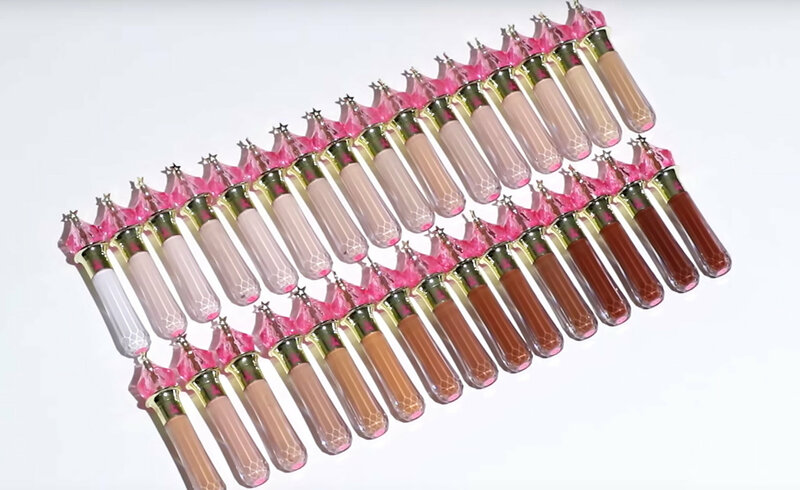 The Magic Star Concealer which has been teased for a while now, suffered an expected setback when Jeffree’s warehouse got broken into, and the shade C5, stolen. But not to worry, the entrepreneur has it under control. The concealer brags a sating-matte finish, full coverage and anti-aging benefits! What’s more – they’re said to be hydrating and lightweight. Sounds like my kinda concealer! The packaging itself is very Barbie vibes, with a princess cut jewel and a custom star on top. 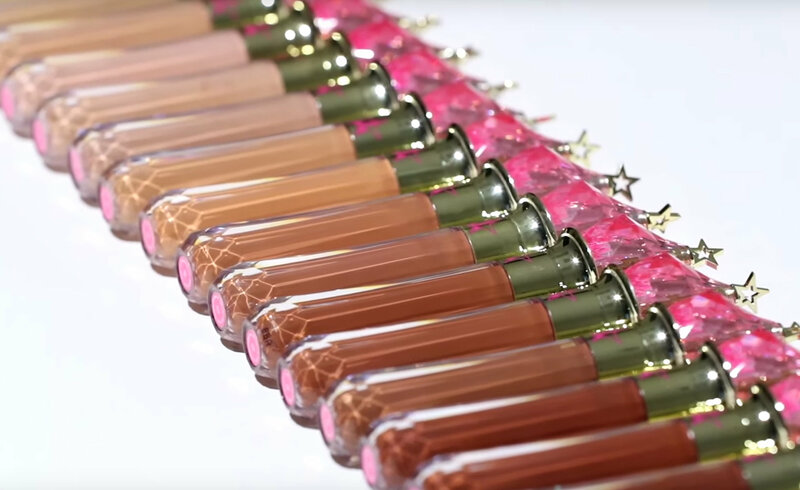 The magic star concealer will be available in 33 shades, including 2 colour correctors. The powders set to launch by Jeffree Star are ultra-fine and deliver a soft, velvet-matte finish. Blur pores, fine lines and imperfections for an airbrushed effect. The powder will be available in 8 shades. 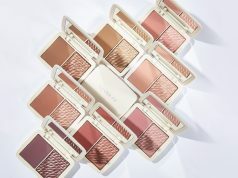 Translucent – For fair to light skin tones and neutral undertones. Best for ultra-brightening. Rose – For fair to light skin tones with pink undertones. Fair – Fair to light skin tones with neutral undertones. Beige – For fair, light and medium skin tones with golden undertones. Topaz – For light, medium skin tones with neutral undertones. Banana – For medium to tan skin tones with golden undertones. Best for ultra-brightening. Caramel – For tan to deep skin tones with neutral undertones. Suede – For deep skin tones with golden and rose undertones. The Magic Star Concealers and Setting Powders launch on the 19th of April. So set your alarms, because we KNOW this will sell out in a flash! FARSALI Rose Gold Skin Mist – Sprays of Glory!